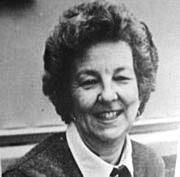 Description: Marjorie Shurling Hale was my 11th Grade home room teacher in 1956-57 at OCHS on Mars Hill Road. She taught Home Economics. She was fun but could be strict. She married Bob Hale and taught most of her career as Marjorie Hale.